It's time to design your album! 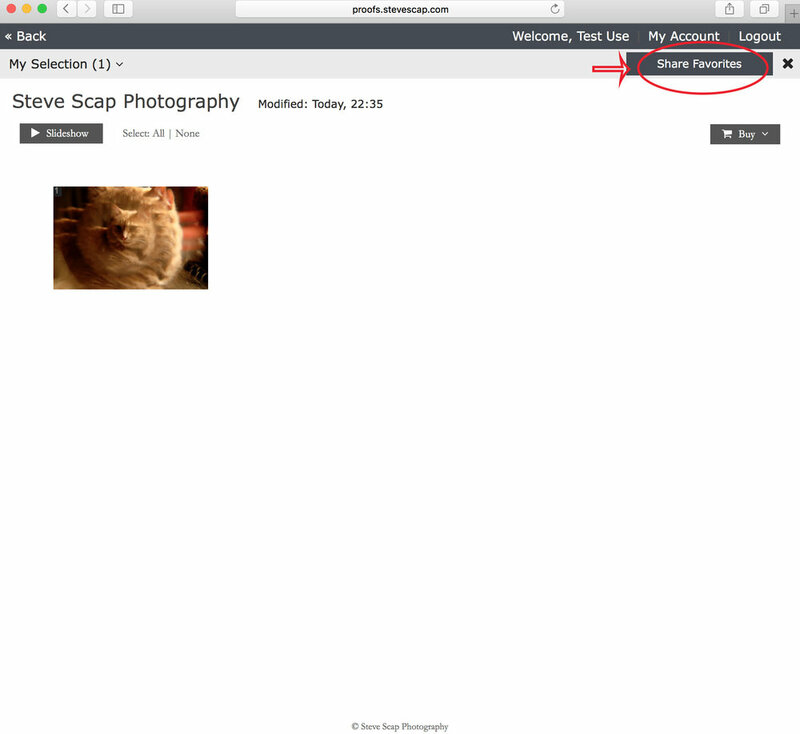 First step: Log into your Proofing Gallery using the URL/password that was emailed to you. Your album includes 30-pages. Typically, about 30-40 Images should be chosen, per album. No big deal if you can't whittle it down that low, we can always add on extra pages. View that and other add-ons below. I have over 50 cover material options ranging from Vegan Leather to Silk. 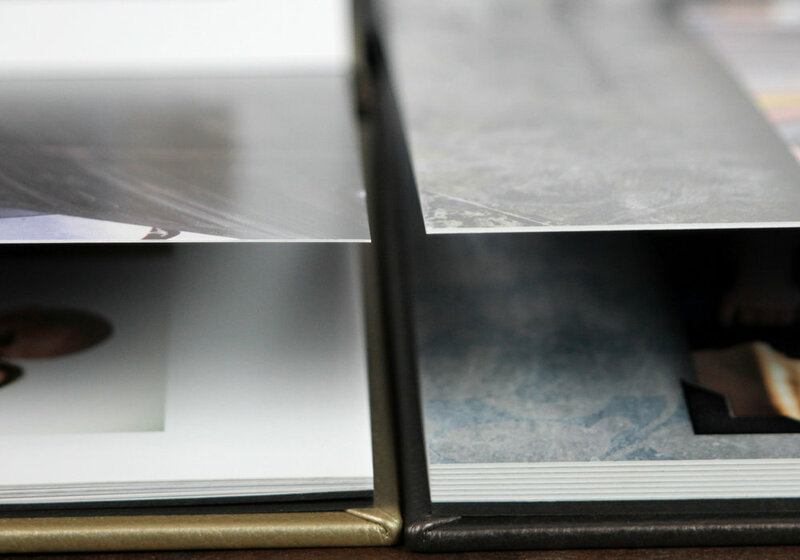 View album swatches here. Go through your images and choose your favorites. It's as simple as pressing the Heart icon located at the top corner of each image. When you're done choosing images, click "My Selection" in the top left corner. You'll be prompted to create an account. Click "Continue" and fill out your Name, Email Address and Choose a Password. Click "Register" to finish. Finally, press "Share Favorites" in the top right corner, followed by the "Share" button to send your favorite images to the photographer. 10-extra pages for 150 dollars. 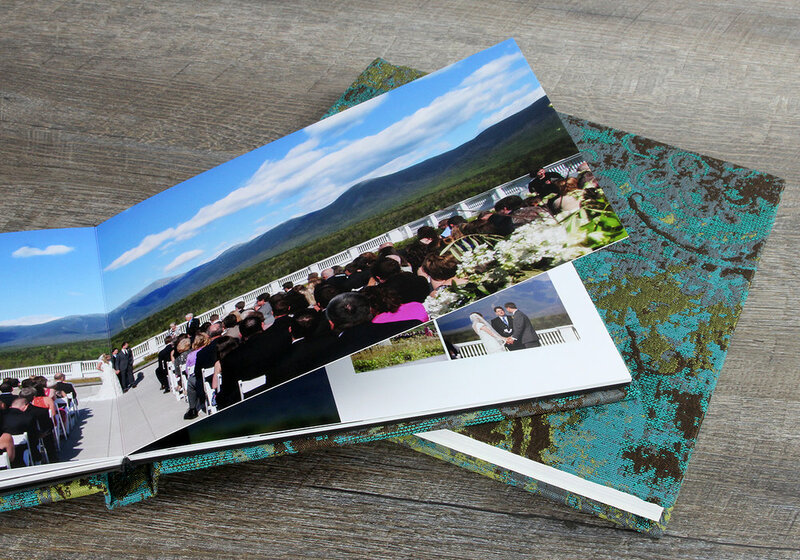 A feature image cut into your cover! Thick pages are impessive and durable.